In February I’ve been testing Green People Lavender & Rosemary Shampoo (Irritated Scalp Shampoo) which I picked in January as part of LoveLula affiliate program. This is not the first Green People shampoo that I’ve tried. Previously I bought myself Intensive Repair shampoo which I thought it would help with dry and damaged ends. Yes, it did make my hair incredibly soft and smooth but unfortunately, it didn’t work for my oily scalp and it made my hair greasy sooner. It is still a great natural shampoo for those with dry hair though. But now back to Green People Lavender & Rosemary Shampoo which is suitable for irritated, flaky scalp and oily hair… I think it’s one of the best natural shampoos for itchy scalp that I’ve ever tried. No doubt about that. This Green People shampoo is ultra-mild and you only need a very small amount for one application. The shampoo is very concentrated and you probably need about 1/3 of what you would normally use. So although the 200ml bottle may look small, it is going to last for a long time. The Lavender & Rosemary shampoo is cruelty-free and suitable for vegans. It contains balancing certified organic ingredients which will help with itching and any irritation. In the shampoo you will find aloe vera which is known to condition your hair, prevent itching and reduce dandruff. Lavender oil is another ingredient found in shampoo which helps to soothe the scalp and heal dry skin (but it’s also good for hair growth). Once you massage the shampoo into hair, it turns into a rich lather which cleanses hair very well. My hair feels squeaky clean after using this shampoo. 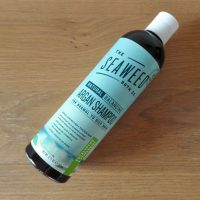 Comparing to some other natural shampoos for oily hair, it does keep hair fresh for quite long and in terms of that, I think it’s comparable to Natural Balancing Shampoo from The Seaweed Bath Company. But how does this Irritated Scalp Shampoo work on dandruff and itchy scalp? Before I go into a detail about how the shampoo works on my hair/scalp I just want to mention that the condition of my scalp changes a lot and sometimes it feels quite itchy with lots of dandruff while other times it’s fine and I don’t find much dryness on it. I don’t know why it’s like that, but maybe it’s the food I eat or maybe I am missing some nutrients from my diet. Anyway, when I started using Green People Irritated Scalp Shampoo, my scalp was unbelievably dry and flaky. I haven’t had it like that for a long time. I don’t know whether it’s something to do with the cold weather and central heating or something else. But it was so bad that it was a little bit embarrassing. Thankfully, since I’ve been using Green People shampoo, the condition has improved although not totally disappeared. I believe that using a good natural shampoo for itchy scalp is just one step. You also need to look at what you eat and see whether that could be the cause. Or maybe if you supplement with the right vitamins and minerals, the condition will improve. It’s all about testing and seeing what works and what doesn’t but if you are looking for the best shampoo for itchy scalp and oily hair, then Lavender & Rosemary Shampoo from Green People is definitely worth trying. You can find this shampoo on LoveLula and get 15% off if you are a new customer, just click on this link and wait for the pop-up with an offer. 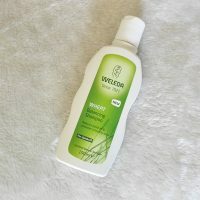 You can also buy this shampoo from Green People directly if it’s not in stock on LoveLula (for 15% discount, use the code HEALTHY15). 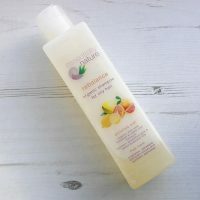 I’ve tried Green People shower gel which is brilliant, so will have to give this a go when my current shampoo runs out! I always find that Green People products are great. Whatever I tried from them, I wasn’t disappointed. Thanks for the review, I will check this out. I have a dry, itchy scalp, and the only thing I’ve found that works so far is shampoo with coal tar extracts. If I can find a natural shampoo that it effective, I’ll be really happy! I think you should definitely try this shampoo from Green People, it’s pretty good and I read some good reviews online.